Liam Sheedy’s perspective on the mental frailty of Tipperary’s best hurlers was sought yesterday. It was a valid question considering current Tipp manager Eamon O’Shea, Sheedy’s chief lieutenant when they reached the Promised Land in 2010, said he sensed anxiety permeating through the ranks in the closing stages of Sunday’s Munster quarter-final defeat to Limerick in Thurles. Sheedy duly highlighted the “unforced errors” that led to both Limerick goals but dismissed the accusation of collective psychological weakness by using the analogy of a Major winner. Even if you have previously delivered on US Open Sunday, it’s still possible to implode off the very next tee. “Whether you’re Rory McIlroy or whoever, when you are on the back nine and you don’t get home they say it is mental frailty. I don’ think there is a difference between the mental strength of Limerick and Tipp. If Limerick lost the match by three points I’m not sure we’d be talking about their mental frailty. We narrow the focus to players like Séamus Callanan and Noel McGrath, who Sheedy knows intimately from days past. Dealing with public vitriol and personal demons are the separate yet equally demanding challenges. “Tipp in the dock” was The Tipperary Star headline this week. Never a good sign when the local newspaper tears strips off the county hurlers for allegedly going on a two day drinking session after the game. 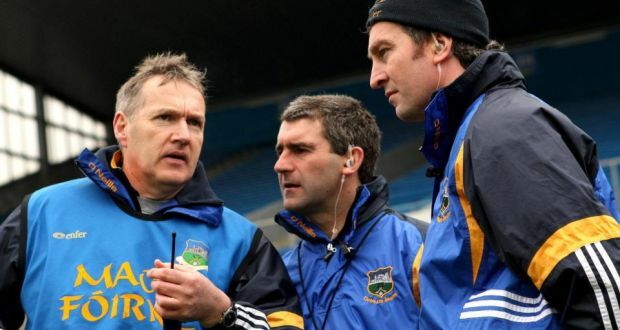 “Word of a drowning of sorrows on Sunday evening and again on Monday in and around Thurles have left supporters very angry and questioning where Tipperary are going,” wrote journalist Noel Dundon. Sheedy understands this reaction only too well: “It’s just a reality when you lose. Those things become spotlight news whether you are an English Premiership soccer player or a hurler from Tipperary. “Look, it was there when I was manager. There was one match after 2009 when we made headline news over socialising but it didn’t stop us from getting within eight minutes of winning the big prize in September. Some of those things can be blown out of proportion. I’m not privy to what went on. Sheedy made another valid point about Limerick’s showing in Semple stadium. “Make no mistake that’s a really good Limerick team and it was probably set up for them in lots of ways. “TJ (Ryan) went with his best foot forward and his best players on the pitch and he only brought on two subs late on so it was more or less what he had, he had. Just that it has happened to Tipperary hurlers more than others in recent times.